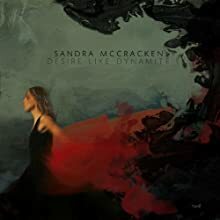 Sandra McCracken's new album explores deeper dimensions of sound, and grace. Sandra McCracken's 2010 album of hymns, In Feast or Fallow, was a turning point. The Nashville-based singer-songwriter had already released one album of hymns (The Builder and the Architect) and a handful of solo records since 1999, in addition to many contributions to the ever-growing Indelible Grace canon. On those earlier recordings, McCracken's arrangements played it pretty straight—the typical Nashville instrumentation fleshing out her acoustically driven songs. It worked well enough that, from the outside looking in, there was no glaring need for reinvention. On Fallow, though, McCracken and her producer (and husband) Derek Webb shook things up. The couple made the studio itself an instrument. Webb's own albums Stockholm Syndrome and the instrumental Feedback found him tinkering with synthesizers, programming and other electronic music. Fallow was far from an electronica record, but it echoed Webb's new explorations. Desire Like Dynamite continues that richly textured sonic trajectory. With help from Jordan Brooke Hamlin and Joshua Moore, the couple have again raised the bar for production value and overall craftsmanship in a folk-based, singer-songwriter album. Coming up with layers of sounds without suffocating the song is a delicate dance, especially with McCracken's songs, which can easily be stripped down to guitar or piano and vocal (and likely started out that way). Part of a producer's job is to imagine a scenario in which the artist and recording engineer have access to all the studio time and musical instruments and digital plug-ins in the world, and then help find the sounds and arrangements that magnify and clarify each song's essence.